If one or two branches from Fate line goes towards wrist and one or two branches rest on Head line, it indicates that the bearer will face trouble at the starting of life and the age at which the branches touches head line, the troubles ends and attains happiness. 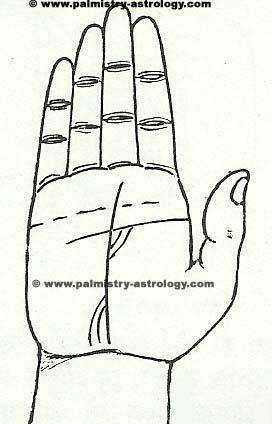 Tagged fate line, Fate line is straight, great artist palm lines, hand reading, luck line, one or two branches from Fate line goes towards wrist and one or two branches rest on Head line, palmistry, the line of fate, the line of luck. Bookmark the permalink.